May come with Him to stay. Here’s an old-fashioned hymn in barbershop quartet style with plenty of good harmonies. I sang this song many times as a child, a favorite of the Sunday evening program called ‘Young People’s Service.’ Everyone in our church attended, regardless if they were young or old. The program was relaxed and a bit rambunctious with games, quizzes, and plenty of singing. ‘Whosoever’ does mean you, my friend. 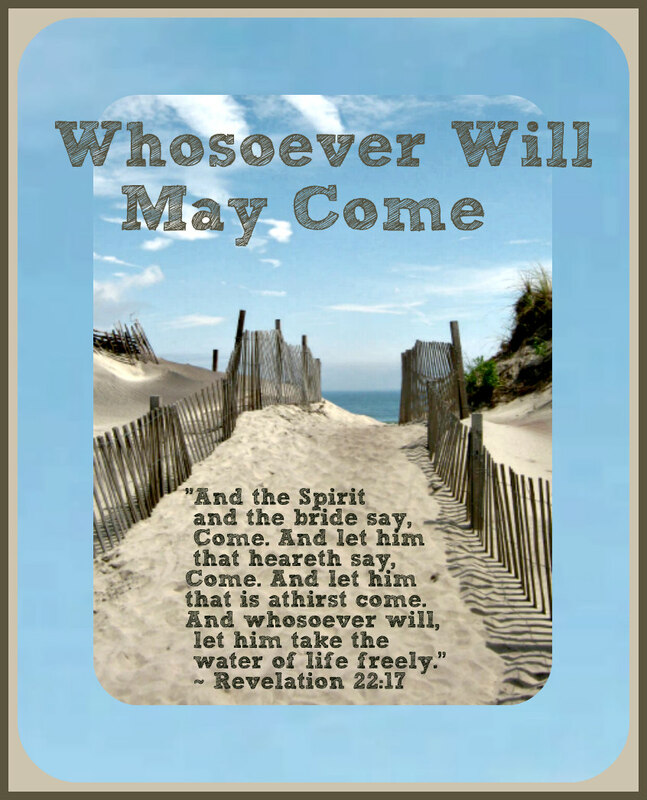 All you have to do is say, “I will.” God’s promises are true, whosoever will may come. Amen and God bless you on this Sabbath Day. Photo Challenge – Weather Vane Wednesday/FORE! This song is similar to many we sung during sunday school so long back. The song is beautiful and meaningful plus there is not at all, any background noise, so the words are clear. Thank you for sharing that’ Whosoever” means ” me too”. I love another song which resonates with my childhood- I’ve got a home in glory land that outshines the sun. We always sang that same song, “Do Lord!” So funny you mention it, my grand-daughters sang it in the Junior Choir this summer. It was adorable.